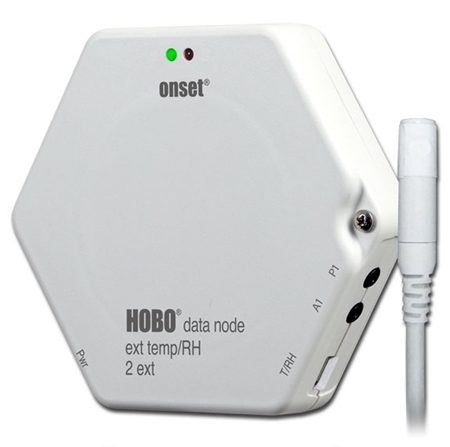 A food-grade stainless-steel temperature probe with pointed tip for use with HOBO U-Series, UX120-006M external-channel data loggers or ZW series wireless datanodes. 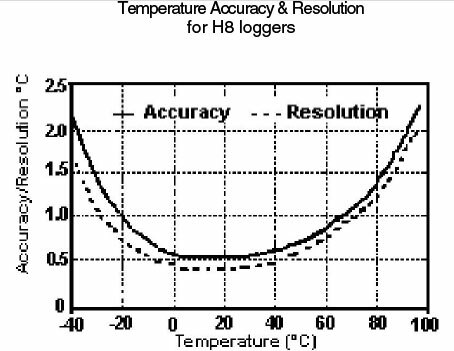 Accuracy and resolution vary according with attached logger model. 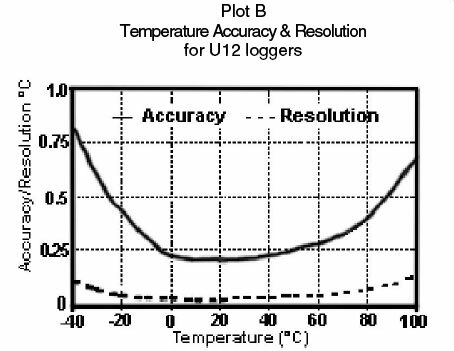 Measurement range is -40° to 100°C (-40° to 212°F) in air or water; response time is 3 minutes typical to 90% in air moving 1m/sec (2.2mph); response time in stirred water is 15 seconds typical. Sensor is attached to a 1.8m (6ft) cable. 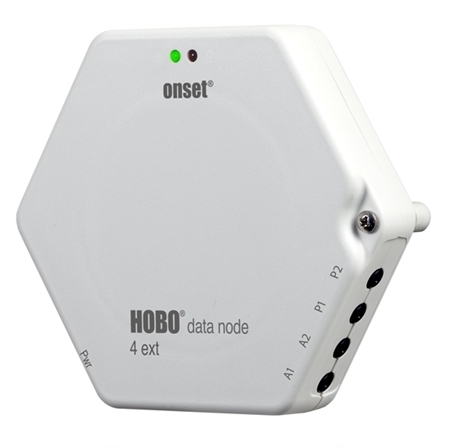 Can be plugged directly into the external input jacks of U12, UX120, or ZW Family loggers to expand the range of measurement options and applications. 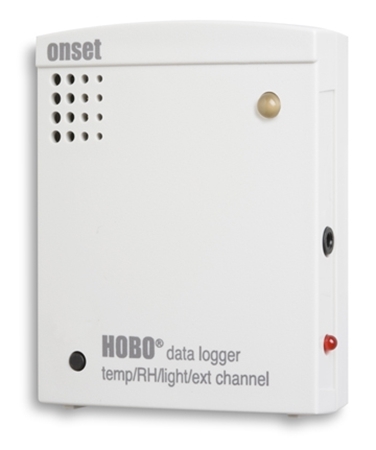 The HOBO U12-013 accepts a wide range of energy and environmental sensors. It provides 12-bit resolution measurements for detecting greater variability in recorded data, and stores 43,000 measurements. 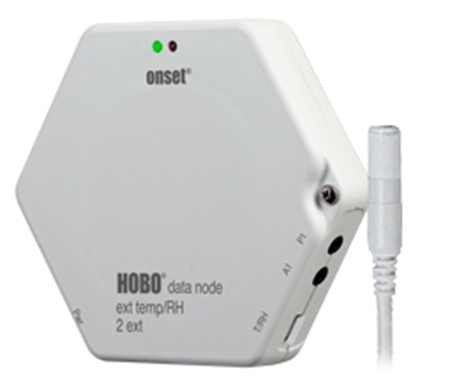 The HOBO U12-012 accepts a wide range of energy and environmental sensors. It provides 12-bit resolution measurements for detecting greater variability in recorded data, and stores 43,000 measurements.